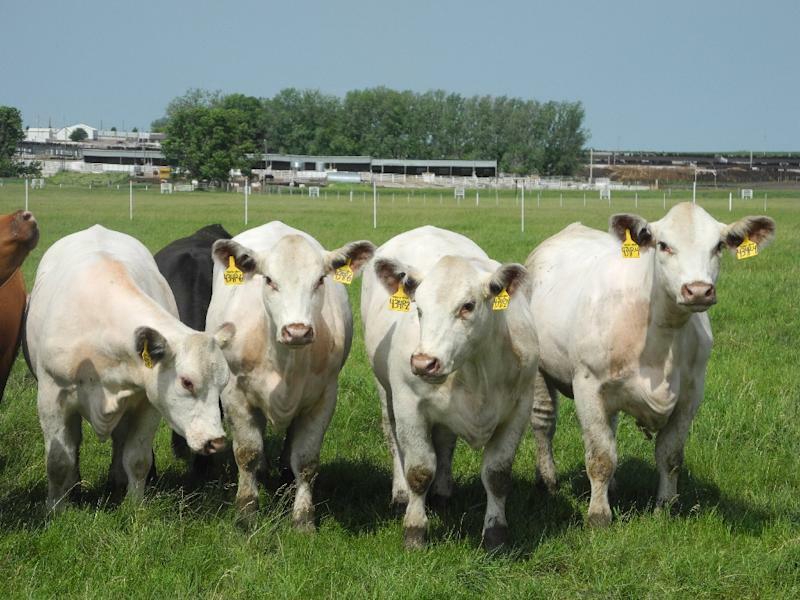 Sioux Center (United States) (AFP) - In the meadow, four white-haired Shorthorn heifers peel off from the others, raising their heads at the same time in the same direction. Unsettling, when you know they are clones. From their ears dangle yellow tags marked with the same number: 434P. Only the numbers that follow are different: 2, 3, 4 and 6. The tag also bears the name of the company that bred them and is holding them temporarily in a field at its headquarters in Sioux Center, Iowa: Trans Ova Genetics, the only large US company selling cloned cows. A few miles away, four Trans Ova scientists in white lab jackets bend over high-tech microscopes in the company's laboratories. 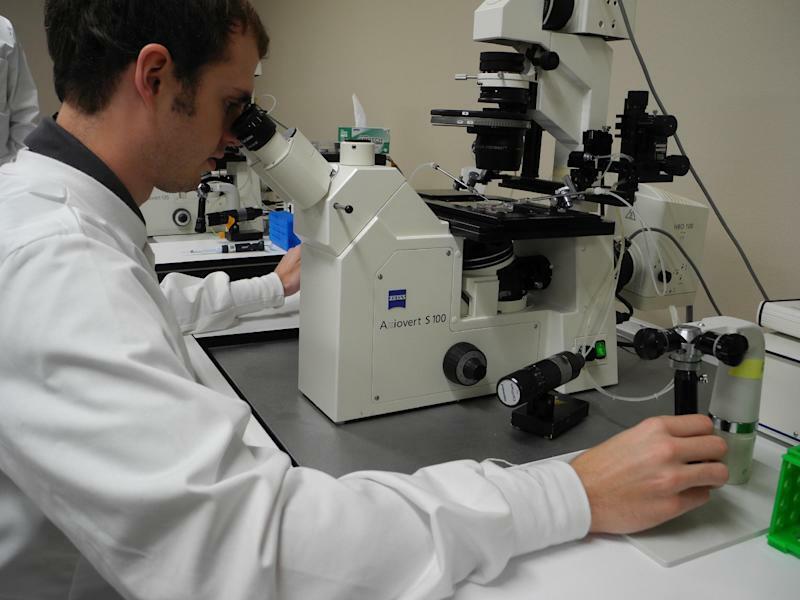 They are meticulously working with the minute elements of life to create, in Petri dishes, genetically identical copies of existing animals. Each year, the company gives birth, using the cloning technique, to about 100 calves. It also clones pigs and horses. The specialist in reproductive technologies for livestock began to become interested in the 1990s in cloning, a niche market. The birth of Dolly the sheep in 1996 -- the first clone of an adult mammal -- had seemed at the time like something straight out of science fiction. And the advanced technology raised ethical concerns because it deviates from normal reproduction that marries genetic material from two parents. Still, the controversial technique has spread and is used in a number of countries, including the United States. In 2008, the agency charged with US food safety, the Food and Drug Administration, approved consumption of meat and milk from cloned cows, pigs and goats. But on the other side of the Atlantic, just last December, the European Commission, the European Union's executive, proposed a ban on the cloning of animals used for food and their import. That has yet to be decided. The commission, however, did not seek a ban on the sale of products from the descendants of cloned animals or insist on the traceability of their origin, actions that were pushed by the European Parliament. 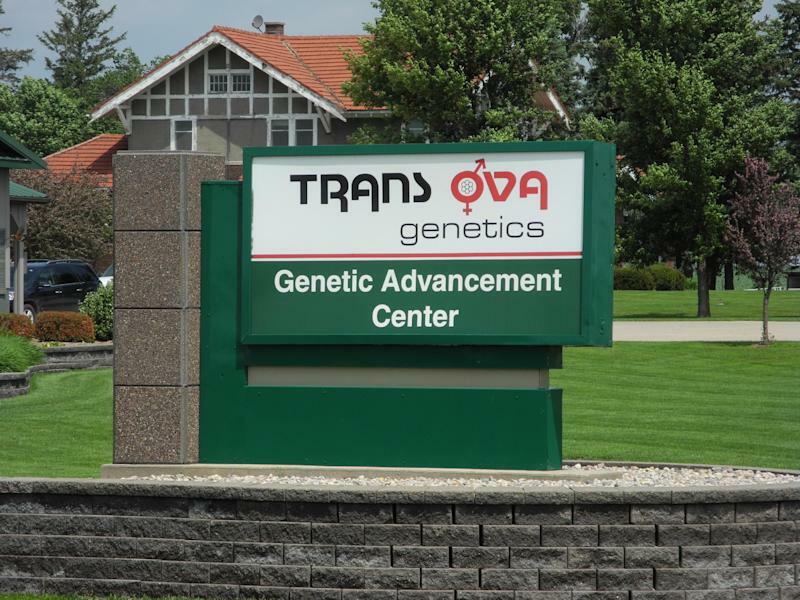 The idea of tracking such animals elicits a shrug from Blake Russell, who heads Trans Ova's animal cloning division ViaGen. "There are cattle in the thousands globally now", and their offspring and descendants are "going to multiply every year," Russell said. "It would be next to impossible to go backwards." Cloning can boost the production of animal protein to feed the world's growing population, said Mark Allan, Trans Ova's director of marketing and genomics. The technique allows the preservation of desirable characteristics in the cloned animal, such as leaner meat, higher milk production and disease resistance, he noted. Cloning is a bonanza for owners of elite cows or bulls, who sell the animals' sperm or eggs at a premium price but face the extinction of that income flow when the animal dies. By paying $20,000 to Trans Ova for a cloned animal, the owner can keep on reaping profits into the future. Opponents of the practice say dangers loom. The US authorities have made a major mistake by not regulating it, and allowing consumption of cloned meat before long-term studies of its impact on human health, said Jaydee Hanson, senior policy analyst at the non-profit Center for Food Safety. Mortality rates are higher than for non-cloned animals at all stages of development, and surrogate cows carrying the cloned egg have more problems during pregnancy and delivery, said Hanson. He said that of the millions of cows produced every year, the number that are cloned is "overall pretty insignificant." "But the bottom line is you do not want large numbers of these animals for a number of reasons, number one being that cloned animals are generally unhealthy." "Any time you take the natural process and you bring change, there's always a learning curve," said Trans Ova's Russell.